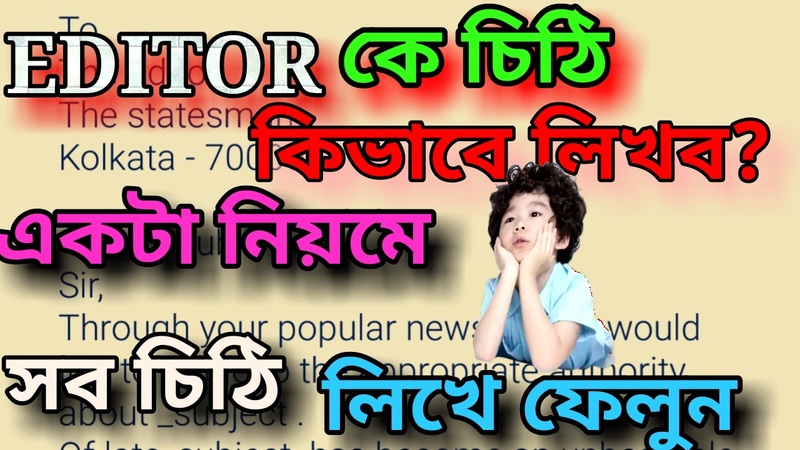 Hi students today we will discuss about how to write a letter to the editor of a newspaper . Through your popular newspaper I would like to Apple to the appropriate authority about _subject . Of late, subject has become an unbearable fact for the local people /students /office goers /passengers. Day by day it becomes more intolerable to them as it has become an everyday affair. According to them, they have to face a number of problems for it. Over the last few months the local authorities have been informed about the fact, but except some futile promises nothing worthwhile has been done. As a consequence, in critical situations people have to face a lot of harassment. (now you can add more sentences of your own). I shall be highly obliged if you kindly publish my complain in your daily so that the concerned authority may take proper steps to eradicate the problem and provide a proper solution.